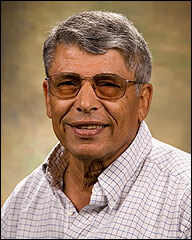 Dr. Sayed Badr was a Professor of Viticulture at California State University, Fresno for almost forty years. He served the Department of Plant Science and Mechanized Agriculture at California State University, Fresno from 1970 2000 and was the Department Chair from 1990 1999, before joining the newly created Department of Viticulture and Enology in 2000 where he served until his retirement in 2009. During his tenure at Fresno State, Dr. Badr taught viticulture courses, with an emphasis on table grape varieties and production. In addition to his teaching responsibilities, he conducted table grape research for California s grape industry and provided oversight to the vineyard enterprise on the University s farm.